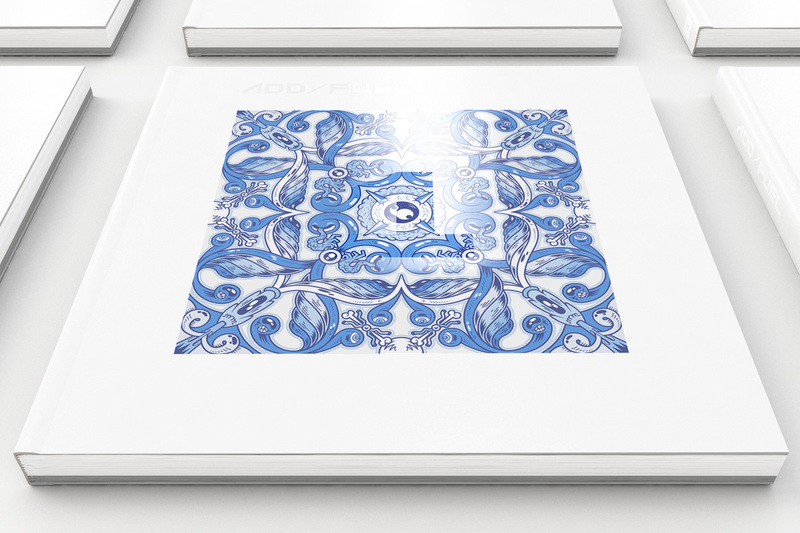 “□1” (Square One), the first book on the Portuguese artist’s oeuvre. 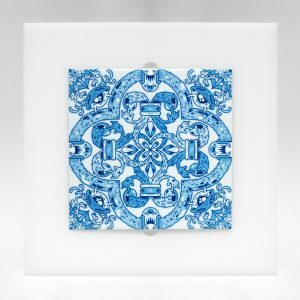 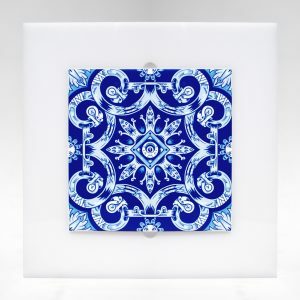 Featuring a fine selection of unique artworks, artist editions and mural pieces which Diogo Machado has been creating over the last few years in the scope of his artistic practice, this self-published book presents a comprehensive approach to his original oeuvre which has been greatly characterised by the effort in rethinking and reworking the aesthetics of Portuguese tile work in a markedly contemporary format. 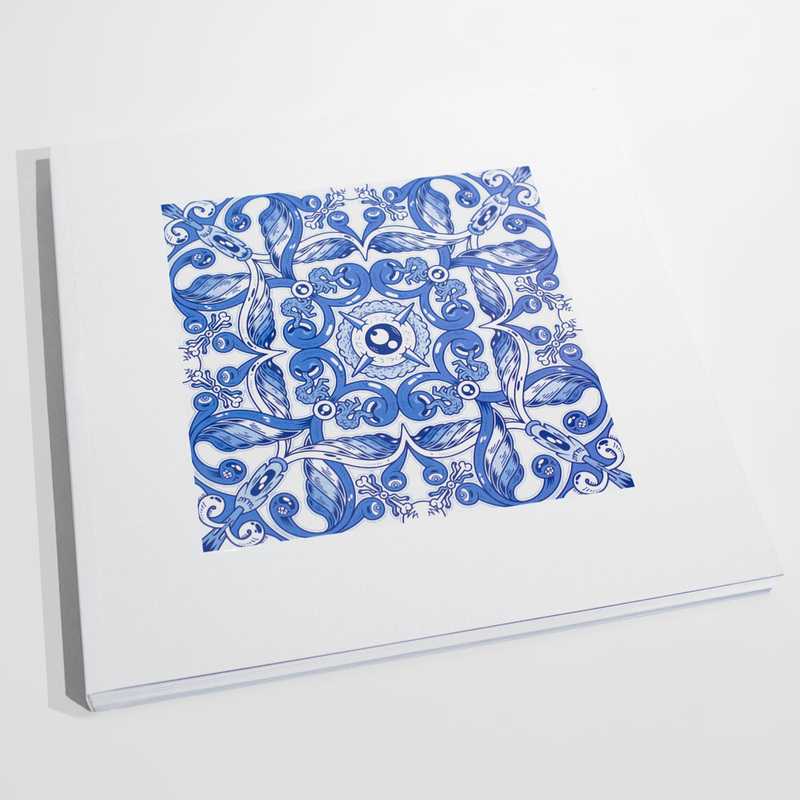 With an introductory text by art writer and curator Sasha Bogojev, and an in-depth reflection by the art historian Alexandre Pais (National Tile Museum), who look at Diogo Machado’s work in a distinct and singular way, the book also features art direction by Nuno Salvaterra, graphic design by Valdemar Lamego, and the purposely created “Add Fuel” typeface by João Miranda. 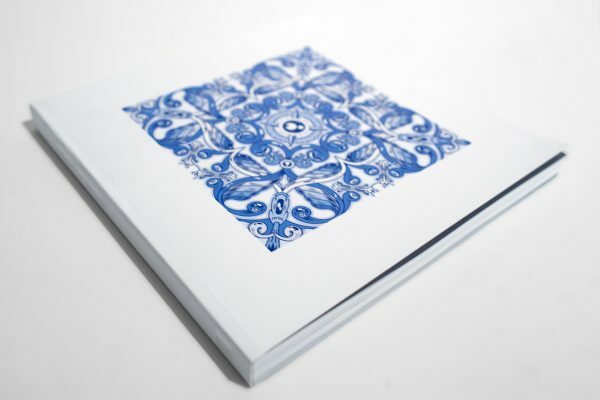 Widely illustrated throughout its 240 pages with colour photos of pieces with recourse to a variety of techniques and media – from ceramic to cross stitch embroidery, among others –, as well as public art pieces produced in countries like Portugal, Spain, the UK, Norway, France, Italy, Tunisia, United States or Australia, the book further includes a catalogue with a selection of original patterns which the artist has created since 2008, constituting thus an overview of this unique art form in the urban environment that Diogo Machado has been developing. Available in a standard edition and two exclusive collector’s editions that comes with an artist edition of a ceramic tile limited to 25 copies each.